In the world of vaping, providing the right power to e-liquids and their hardware is important. 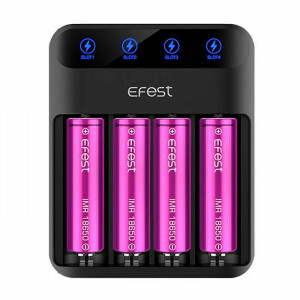 Efest is dedicated to all matters that surround batteries, chargers, and their accessories. They realized the need for dedicated products that keep vapor kits functional and effective. Efest’s product selection in batteries and chargers is vast, covering many different styles across the board. With Efest products, you can be sure that you’re getting quality that is second to none while extending the life of your vaping products. Efest vape devices also saves you money, so you don’t have to replace your batteries and chargers on a regular basis repeatedly. Efest doesn’t just stock chargers; they stock smart and efficient chargers. These chargers provide the power that vape batteries need to turn e-liquids into thick vapors for both beginners and seasoned vapor fans. The build quality of Efest chargers is truly outstanding. Each charger consists of a spring made of sturdy piano wire. The assembly provides a smooth sliding platform where batteries can easily slide in and out of the holder. The cathodes that charge the battery itself are made of hard chromium plating that allows for maximum precision charging. Efest was able to recognize the need for vapor chargers to be smart, efficient, and durable. Few other vaping companies out there have such a focus on developing smart chargers to enhance their customers’ vaping experience. 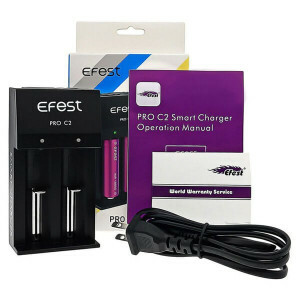 Efest is known for its ability to design and produce high-drain batteries for all vapers out there. Our batteries come with a 3-month warranty from the date of purchase, allowing you to use VaporFi products knowing that we have your back covered. Our battery models vary in capacity and voltage. Try the 3000mAh range at 3.7 volts to enjoy an immersive and engaging vaping experience. 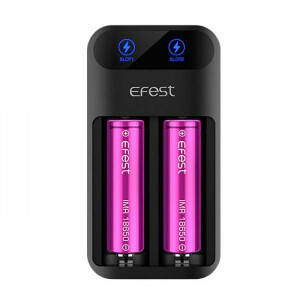 Efest batteries are rechargeable and built for superior performance. They also incorporate a standardized design that fits many different devices. In fact, it is their standardized nature that makes Efest batteries a top choice in the vaping industry. Our Efest batteries come in an attractive pink design that can make your vape mods and electronic cigarettes stand out from the rest. For vapers who like to carry out their hobby in style, Efest batteries look the part. 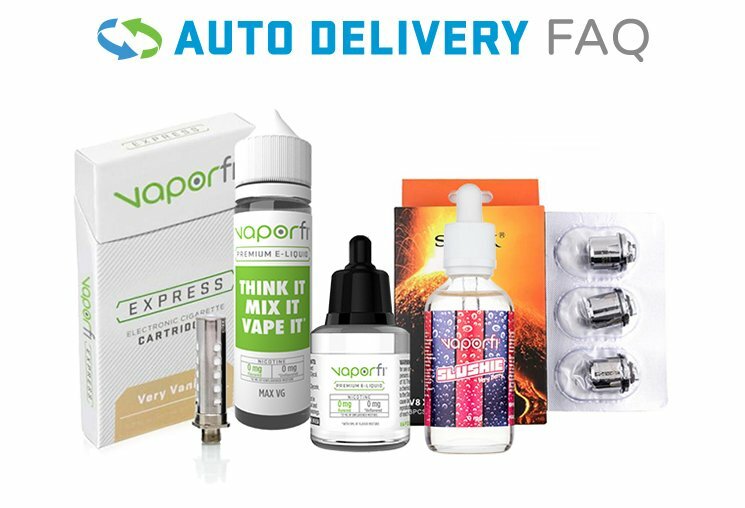 To top off your vape starter kits, Efest also offers a range of vape accessories that can spice up any vaping kit. From battery cases to power banks, and car chargers to voltage testers, our accessories give you full control of your vaping experience. Try out Efest products today.